Despite talk of “low risk” and “high risk” procedures, the act of operating on a patient in Philadelphia inherently poses serious concerns. Whether a practitioner is surgically removing a broken tooth or performing a triple bypass surgery, patients who choose to undergo a surgical procedure are literally putting their lives in the hands of a surgeon and his/her medical team. Throughout the years, innovative advances in medical devices and surgical equipment has undoubtedly revolutionized the way surgeons practice on patients. As a result, the healthcare industry has made great technological strides over time. But these strides haven't seemed to cease the rising rates of surgical mistakes. According to data compiled by John Hopkins University, surgical mishaps occur at least 4,000 times a year nationwide. Which means hundreds of thousands of people have suffered severe injuries and deaths that stem directly from mistakes made in procedures by medical professionals. 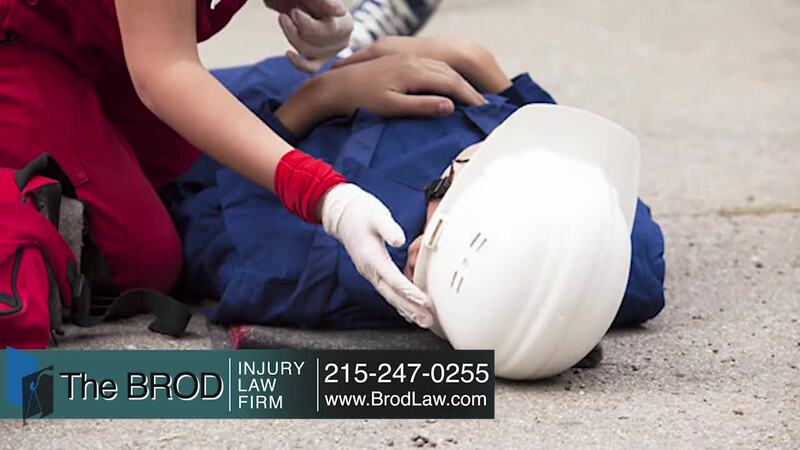 The Brod Law Firm's Philadelphia, Pennsylvania surgical mistakes lawyers have over 30 years experience in this area of law. Our Personal Injury Attorneys represent victims who sustained injuries as a result of negligence on the part of a doctor, hospital, or other health care provider. Simply put, If the doctor or other health care provider made a surgical error in violation of the legal standard required by the professional in that field and this causes injury, the victim is eligible to receive monetary compensation. If a negligent act made on the behalf of a medical professional injured a victim or caused a fatality, victims may be able to receive compensation for their inflictions or the inflictions of a loved one. It's a fundamental right for plaintiffs who've endured any type of harm directly caused by these mistakes to receive compensation for damages. Damages are losses or potential losses either economic and/or non-economic that can be recovered through sufficient evidence and testimonials. Oftentimes, doctors, nurses, specialized surgeons, medical staff and other practitioners have schedules jam-packed with consultations, appointments, meetings and examinations. It's not rare for these medical professionals to feel overworked. Surgeons who experience fatigue while in the workplace are more likely to make a mistake when taking on important tasks like operations, as opposed to professionals who are well-rested. Surgeons are expected to follow certain precautions and safety guidelines prior to operating on a patient. After practicing for a long period of time they may become too comfortable and start to take shortcuts or completely skipping steps in preparation for surgery. Whether a surgeon is completely omitting the sterilization of utensils or making the call to utilize a device that may have been deemed defective or faulty at one time or another, this behavior is considered negligent behavior. In some instances, a surgeon may not have accumulated enough skill to perform a certain procedure without complications. Even though practicing health care providers are expected to be well-versed and knowledgeable about the endeavors they attempt to take on, sometimes this just simply is not the case. If the operating surgeon makes a mistake during an operation that a reasonably competent surgeon would not have made in the same or similar circumstances, victims could build a viable medical malpractice case to receive compensation for their injuries. In order for a successful outcome, surgeons and their medical team comprised of multiple practitioners must effectively communicate. Clear and cohesive communication between all parties mid-operation is imperative to ensure safe surgical practice. A small misunderstanding between any party could result in catastrophic injuries for the patient. Recent studies reveal that the transfer of information between anesthesiologists and surgeons is the most common cause of failures. Most of the miscommunications between these two parties led to increased rates of morbidity and mortality. The actions that transpire prior to an operation are events that can shape its outcome. Surgeons review a patient's medical history of allergens, past procedures, prescribed medications, diagnoses' etc. in hopes of preventing serious complications that could possibly arise during or in the aftermath of a surgery. Also, ensuring all the medical equipment that will be used is present, sterilized and available for use before a procedure is initiated will prevent any unexpected circumstances. Occupations in the health field, especially surgical jobs, are infamously known for being incredibly stressful. Some surgeons may turn to the consumption of drugs or alcohol to cope with long days and the stressful tasks associated with their occupation. Patients would be surprised to know that it happens much more than they would like to think it does. 19101, 19102, 19103, 19104, 19105, 19106, 19107, 19108, 19109, 19110, 19111, 19112, 19114, 19115, 19116, 19118, 19119, 19120, 19121, 19122, 19123, 19124, 19125, 19126, Manayunk 19127, Roxborough 19128, 19129, 19130, 19131, 19132, 19133, 19134, 19135, 19136, 19137, 19138, 19139, 19140, 19141, 19142, 19143, 19144, 19145, 19146, 19147, 19148, 19149, 19150, Overbrook 19151, 19152, 19153, 19154, 19155, 19160, 19161, 19162, 19170, 19171, 19172, 19173, 19175, 19177, 19178, 19179, 19181, 19182, 19183, 19184, 19185, 19187, 19188, 19190 19191, 19192, 19193, 19196, 19197, 19019, 19092, 19093, 19099, 19244, 19255. We see many of our Philadelphia medical malpractice cases coming from the far Northeast, Center City, Southwest Philadelphia, North Philadelphia, Mt. Airy, Chestnut Hill and South Philadelphia. Handling a claim involving a surgical mistake has its complexities. Just because a mistake occurred in the process of performing surgery, doesn't mean that the negligent action constitutes medical malpractice. Hiring an experienced lawyer who has handled cases similar to yours will exponentially increase your chances of a favorable outcome in court. For over thirty years surgical mistake attorneys at the Brod Law Firm have obtained justice in the firm of substantial compensation. Just contact us online or call (888) 435-7946 (888-HELPWIN) for a free consultation. Even if you are not sure if you have a case please call us for straightforward no-nonsense answers to your legal questions. We do not charge you for legal advice. We serve all of the state of Pennsylvania from our conveniently located offices in Philadelphia, Bala Cynwyd, Reading and Centre Square.